The ADX1M Axient Digital ADX Series Micro Wireless Bodypack Transmitter from Shure is a portable UHF wireless bodypack transmitter with a LEMO 3-pin input connector. It can be used with Axient Digital Wireless Systems to capture audio when paired with a microphone and receiver (sold separately) for live stage, theater, and rehearsal applications. 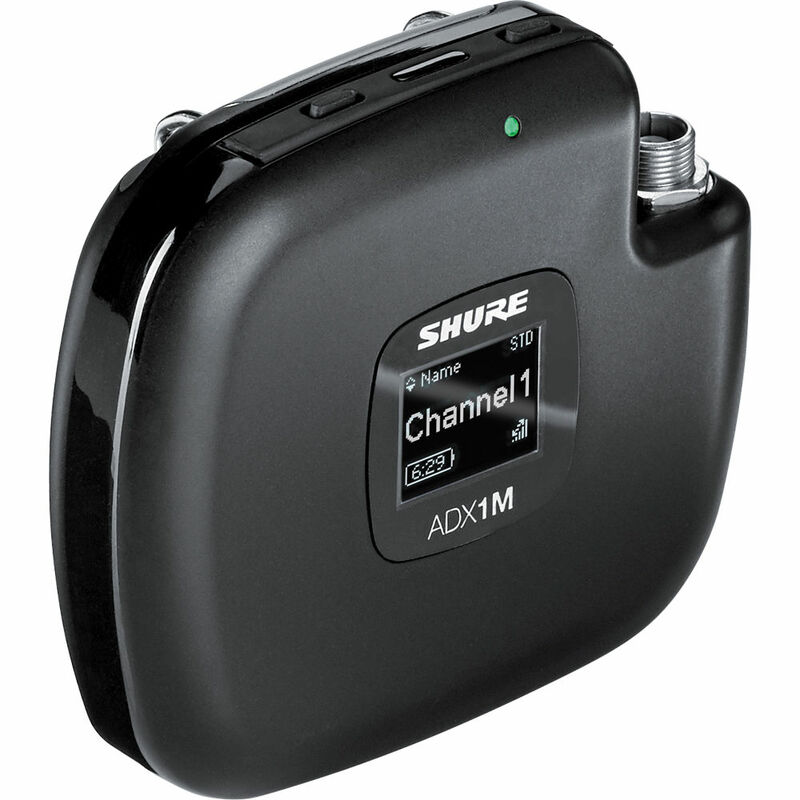 Featuring wide tuning up to 184 MHz, interference protection, and rechargeability, the ADX1M transmitter is built with a streamlined design and a high-contrast OLED display. The sealed buttons and LEMO connector offer protection against sweat and moisture ingress. Other features include two transmission modes, and ShowLink remote control for real-time parameter adjustment right from the booth. Box Dimensions (LxWxH) 11.75 x 5.2 x 3.55"